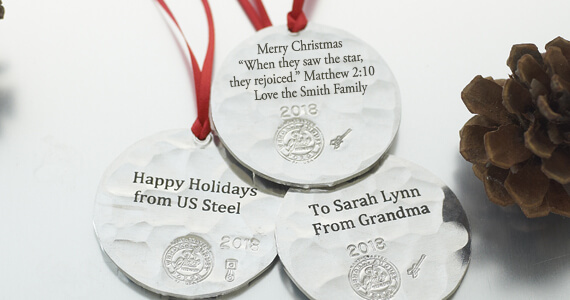 Personalize your Wendell August Forge gift and let your recipient know how special they truly are – by having their handcrafted gift engraved, just for them. A personalized gift from Wendell August Forge stands out as a lasting impression and helps your friends and loved ones celebrate great memories for years to come. 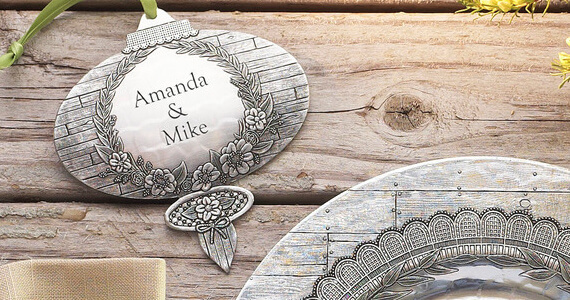 Our new, state-of-the art engraving takes our personalization process to a new level. 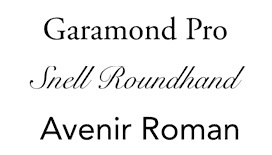 We’ve updated our font selection to include fonts and monograms that speak directly to those special to you. We’ve added new, personalization-friendly gift items to our offering and greatly simplified our pricing. We’ve made it easier for you to order - you’ll see directly on each product page exactly where an item can be personalized, and we walk you through each step of the process to make it a reality. Our lead times are fast…your personalized gift will ship within 5-7 days after you order it. Personalize gifts for Christmas, weddings, anniversaries, births, graduations, Mother’s Day, Father’s Day and any other significant occasion in the lives of those you care about. 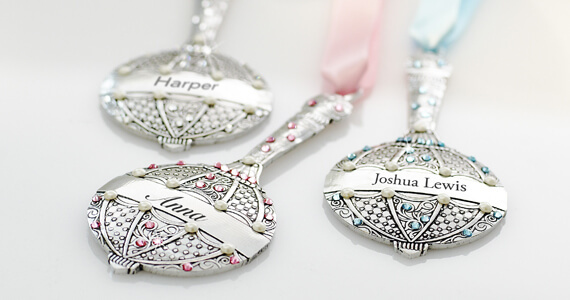 Add a name, dates, their monogram, a special phrase or message and make your gift even that more meaningful! Many of our jewelry items include free personalization. See individual items for details. Monograms are included in the price of select jewelry pieces. 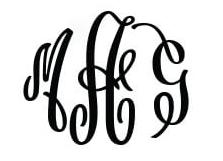 See individual products for available monogram location. Here are some ideas on the best ways our customers have found to personalize their gifts over the years. For yourself or someone else, add a name for a simple personal touch. First, Last or Both, in the font of your choice will make a gift special for a child, friend, coworker or loved one. 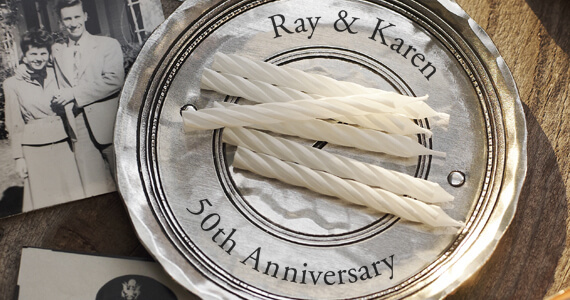 Commemorate anniversaries, births, graduations and more. A special gift with a special date turns into a keepsake that will last a lifetime. 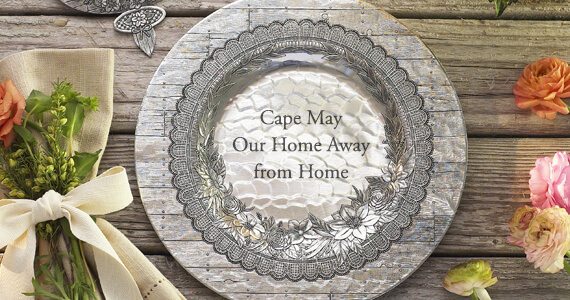 First home, memorable vacations and hostess thank you gifts will be thought of fondly with a personalized commemorative. Select from gifts for the couple, guest favors, groomsmen and bridesmaid gifts, or a gift for a loved one who made a wedding special. 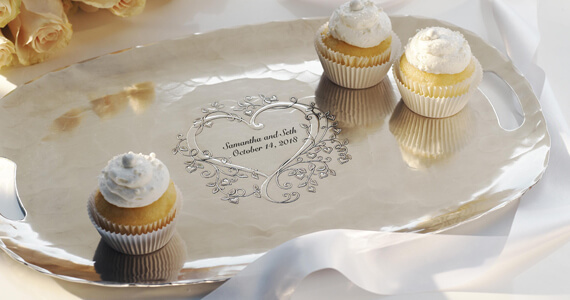 A personalized gift is the perfect way to remember that special day. Sometimes simple words have the most impact. 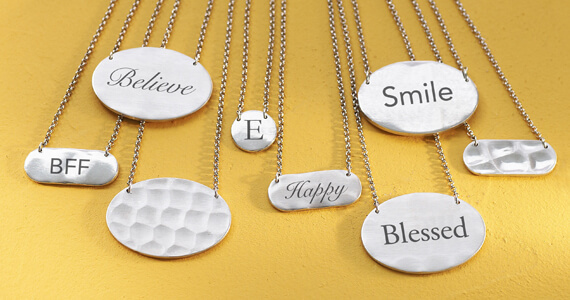 Add a special word to any gift to make it more meaningful. 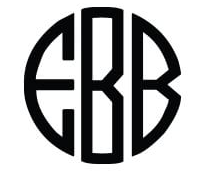 Allow 5-7 days for production on all monogrammed and personalized products. If you have questions, please email info@wendell.com or call toll free 1-800-923-4438.